Date January 17, 2018 . The Irish Music Rights Organisation Limited (IMRO), through an agency arrangement with Phonographic Performance Ireland Limited (PPI), has introduced a new system of music licensing for business. As of 1 January 2016 under this arrangement IMRO administers the granting of copyright music licences, collection of royalties, and related activities on behalf of both organisations. This new arrangement makes life easier for businesses in Ireland by enabling them obtain both the required IMRO and PPI copyright music licences through a single contract, receive a single invoice, make a single royalty payment, and administration-wise, interface with a single licensing body. What is the Dual Music Licence? 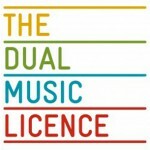 The Dual Music Licence is a licence contract which covers both IMRO and PPI music copyrights. Under law, two distinct permissions are required by businesses in Ireland who play music – one which covers the public performance of the musical work on behalf of composers, songwriters and music publishers and the other which covers the public performance of sound recordings on behalf of record producers and performers. Up to 2015 these licences have been administered separately by IMRO and PPI respectively. However, as of January 1st 2016, both distinct licences are included in the Dual Music Licence administered by IMRO.